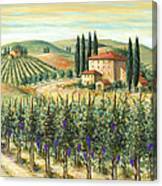 Queen duvet cover (88" x 88") featuring the image "Tuscan Vineyard And Villa" by Marilyn Dunlap. Our soft microfiber duvet covers are hand sewn and include a hidden zipper for easy washing and assembly. Your selected image is printed on the top surface with a soft white surface underneath. All duvet covers are machine washable with cold water and a mild detergent. What a lovely bucolic site ! congratulations on the sale my lady. Love the soft colors of this piece. So well done! Congrats on your sale, Marilyn! Why thank you so much for your kind words!! Marilyn what a lovely style your art displays. It's a delightful composition and your choice of colours is an inspiration to the rest of us. Keep them coming! Voted. Gorgeous work, congrats on your sale! 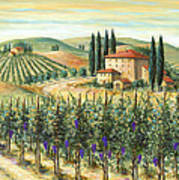 What a peaceful bucolic landscape ! congratulations on the sale, Marilyn. You rock. It's where I want to live! Congratulations! 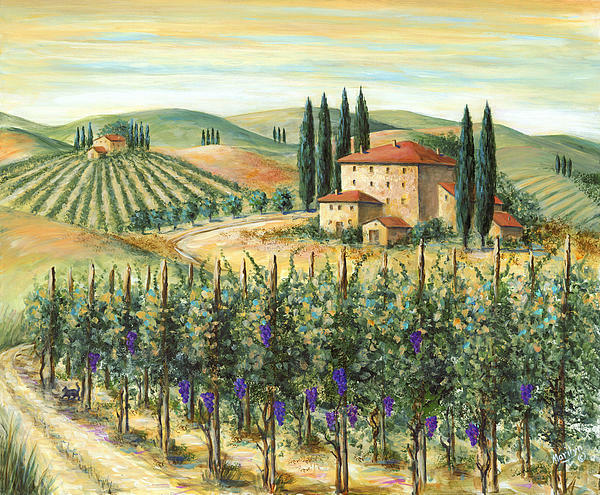 Please enjoy this scenic rural view of a vineyard and villa in Tuscany. This painting presents a unique view of a tuscan villa with the vineyard right up front. 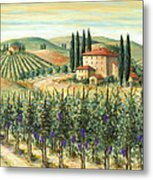 The artist used a combination of palette knife and brushstroke.